I received a copy of Nocturne, by Irene Preston and Liv Rancourt, from the authors for review. I reviewed others in the series here, here and here. I really think this was my favorite so far in the series. I liked seeing a bit more of Thad’s “le monstre.” I liked that there wasn’t so much angst about his perceived sins and I liked that Sara had struggles of his own, outside of getting Thad to accept his love. Plus, they were sweet together and I thought the writing was just really good. I did think it dragged just a little and I was disappointed to end the book not knowing what’s up with Sara’s situation. I assume this is the next book, but it was a pretty big issue to go not only unresolved, but undiscussed even. All in all, I can’t wait for the next one. 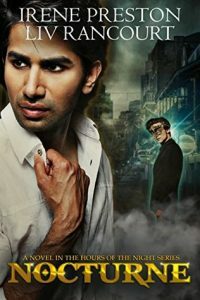 This entry was posted in books/book review and tagged #DiverseRomanceBingo, #ReadDiverse2017, book review, M/M, romance, vampire on October 31, 2017 by Sadie. 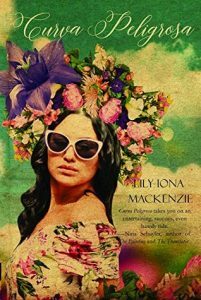 I won a copy of Lily Iona Mackenzie‘s Curva Peligrosa through LibraryThing. Let me be clear, there is nothing wrong with this book. The writing is good. The editing fine. (I found a few hiccups, but I think I have an early copy.) It didn’t really win me over though. I’m generally a book-a-day reader and it took me four days short of a month to finish this book. That’s an eternity in my reading world. It’s one of those books that’s supposed to be imbued with meaning. You’re supposed to read it in your book group and natter on about how important and inspiring it is in its abstractness. You’re supposed to see Curva, in all her uneducated, back-to-earth greatness as holding some secrets that we could all do with learning. I however, thought it was too random and lacking focus. I dislike aggrandization, especially purposeful self-aggrandizing. It’s pretentious, and that’s how this book felt to me. I very much think this book will be a total winner for some people and total flop for others. I wouldn’t expect too many middle of the road readers. This entry was posted in books/book review and tagged book review, literary fiction, magical realism, won on October 29, 2017 by Sadie. 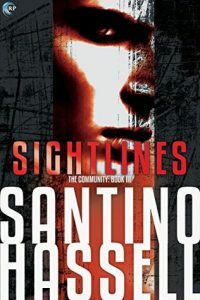 I received a copy of Santino Hassell‘s Sightlines through Netgalley. I reviewed the first two book in the series, Insight and Oversight, earlier in the year. I hate to say this, but I think my love affair with Santino Hassell’s books is over. On the sites I’m forced to use a numerical start rating, I almost gave it 2 stars. The end dragged it up to a third, but it was a close call. I simply didn’t like it. I didn’t like the characters. I didn’t like the narrative style. I didn’t like the pacing. I. did. no. like. it. And if I’m honest, the last several books by Hassell that I’ve read have skirted this same edge. And it makes me so sad, I lovedhis early works. But all his characters feel the same now and here I felt Chase was taken to such a grumpy extreme that I couldn’t overcome it enough to enjoy his character. And Elijah was a shadow, barely there. As always, the mechanical writing is good but this book was a bust for me. This entry was posted in books/book review and tagged #DiverseRomanceBingo, #ReadDiverse2017, book review, fantasy, M/M, romance on October 28, 2017 by Sadie.